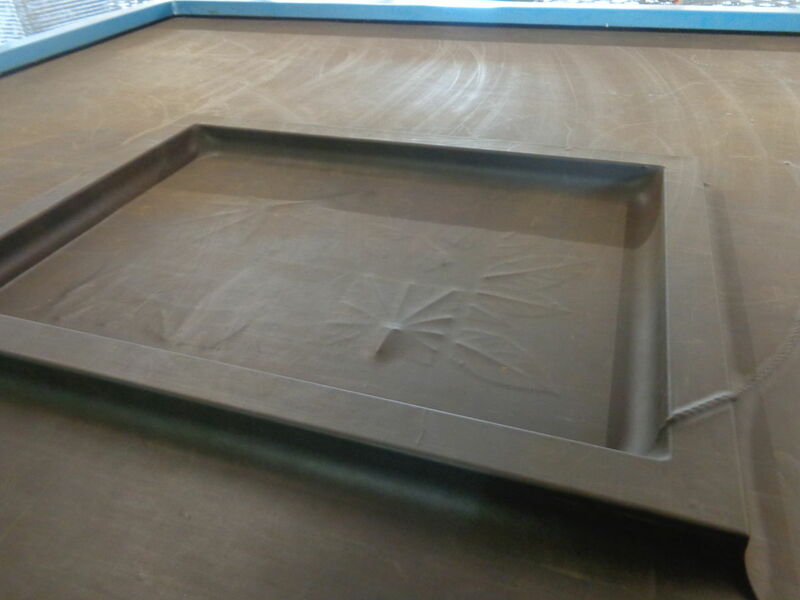 I did a workshop in the workplace Plaatsmaken in Arnhem where they have a new textile print table. 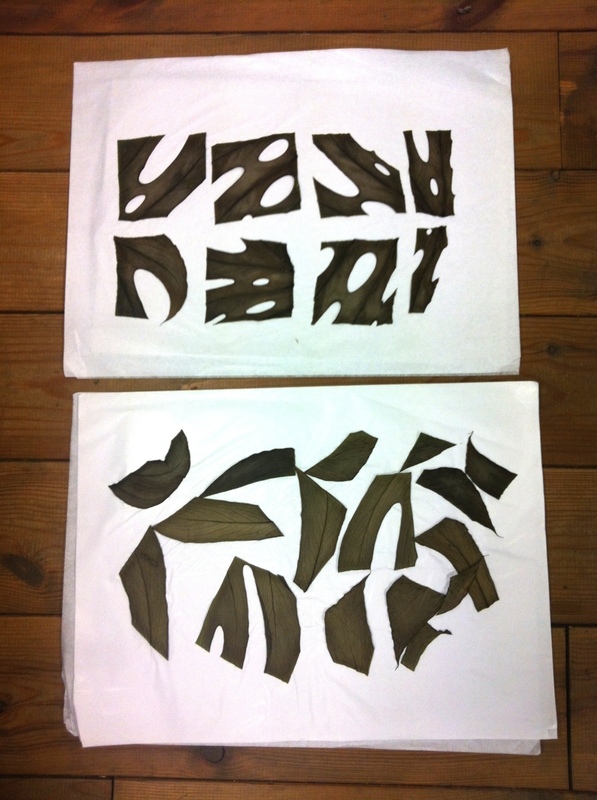 Parallel to my workshop I was able do a test to see how ‘transparent’ the leaves are. I took fresh and dried leaves with me because I assumed that a dried leaf is more dense, because it lost its moisture and shrank. 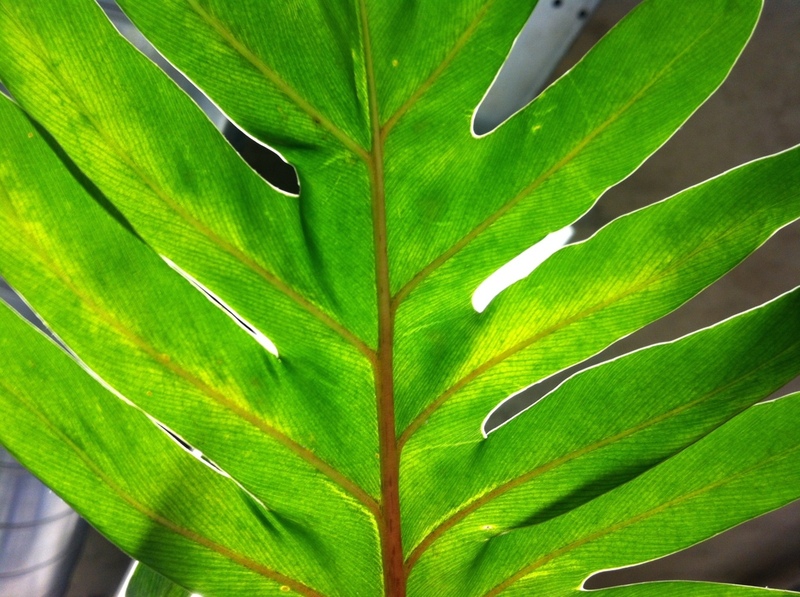 When you hold the leaf towards the light a structure of veins becomes extra visible. 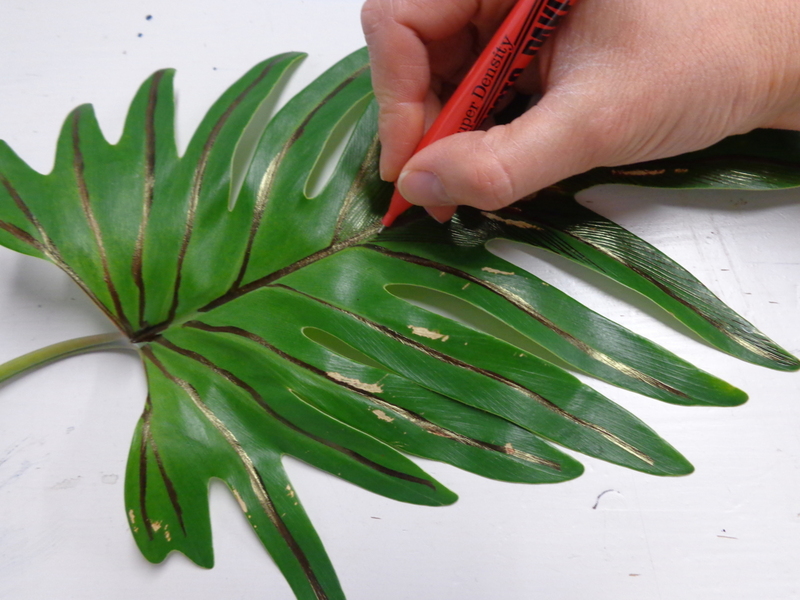 To highlight the veins I added lines with a light blocking marker to discover if by directly drawing on the leaf I could create extra texture in the image. These are the dried leaves from the previous ‘Split Leaf’ post. 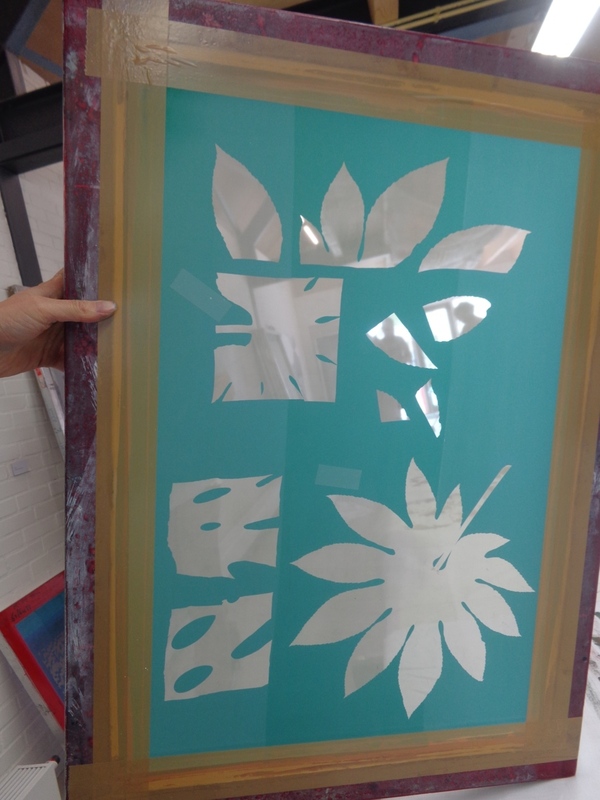 A selection of ingredients I prepared is placed under the screen that is prepared with a layer of sensitive emulsion: fresh and dried leaves, a full leaf covered with lines and some rest parts from the cutting. 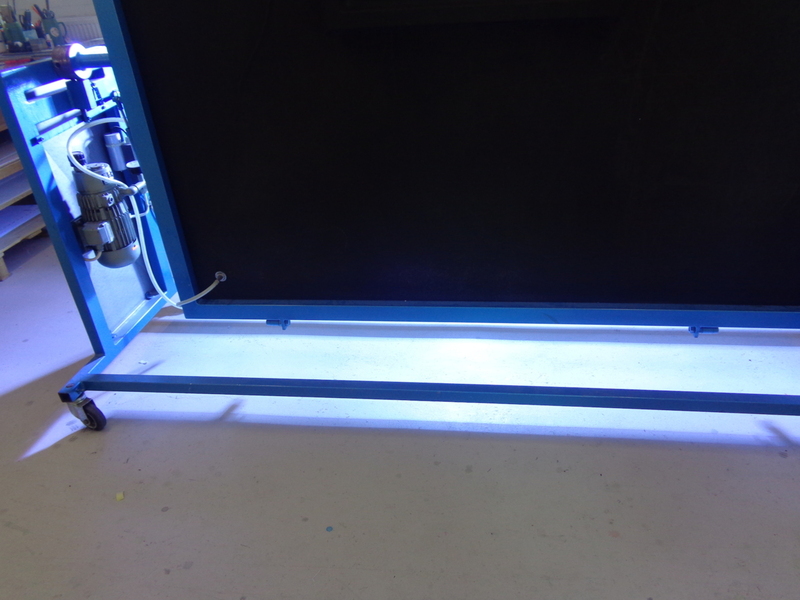 The screen is sandwiched between glass and rubber and made vacuum in order to turn the table 45 degrees to expose to the UV light. 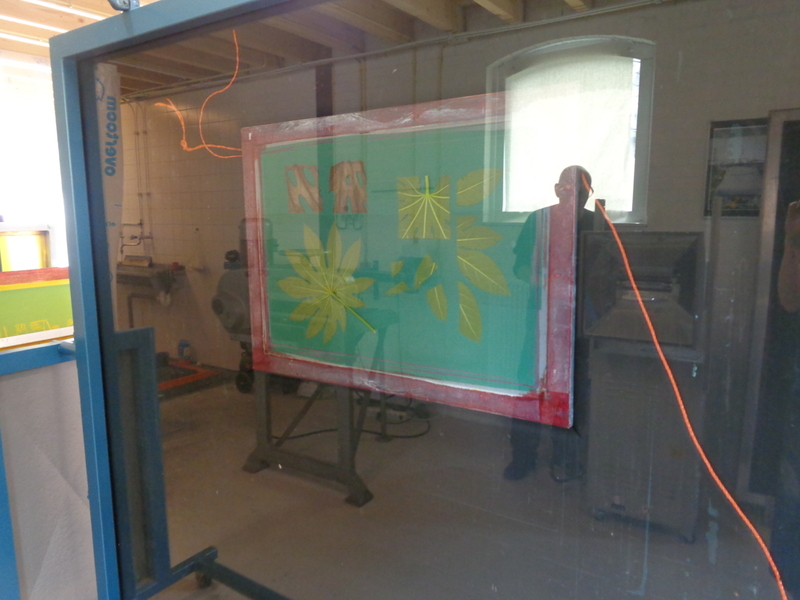 The screen is exposed for about 90 seconds towards a bright UV light. 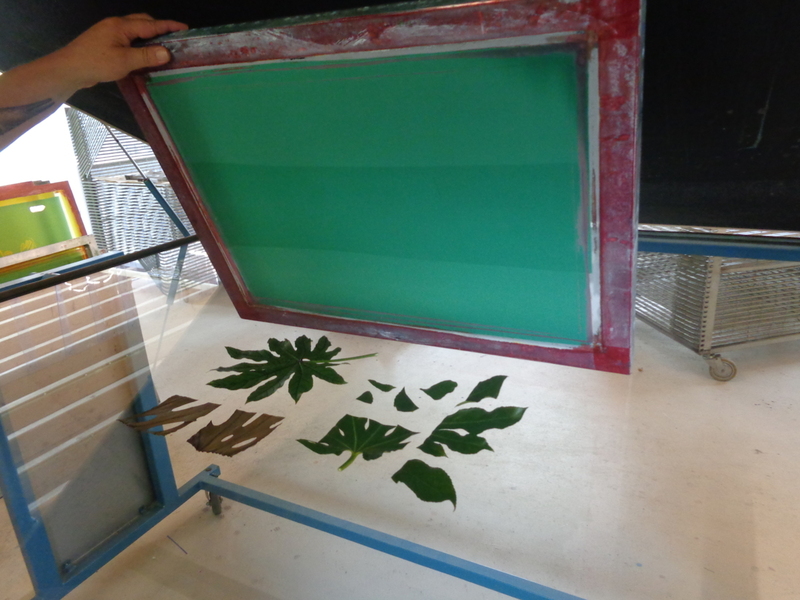 After rinsing out the emulsion that is not harden by the UV light I could see how much light the leaves blocked. The result is a screen with silhouettes. 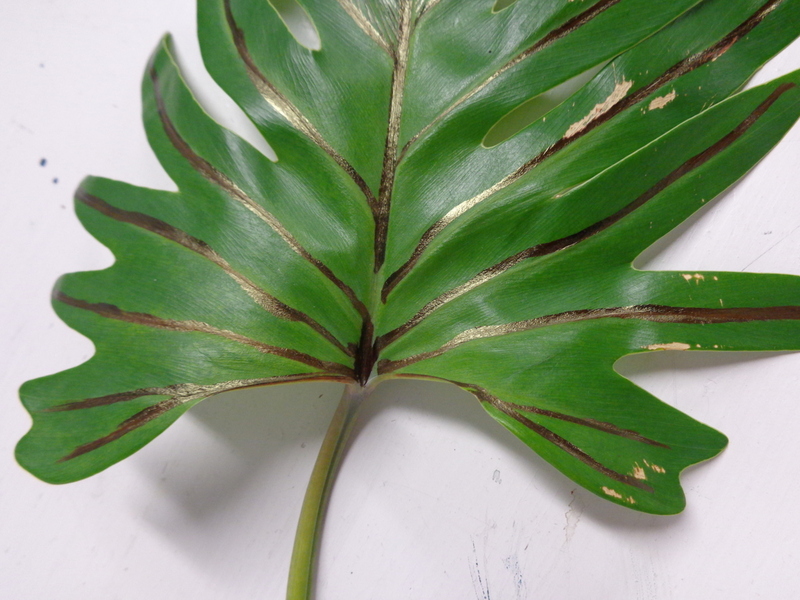 The lines drawn on the big leaf did not make it to the imprint in the screen. It appears that the leaves fully blocked the light and no veins became visible.